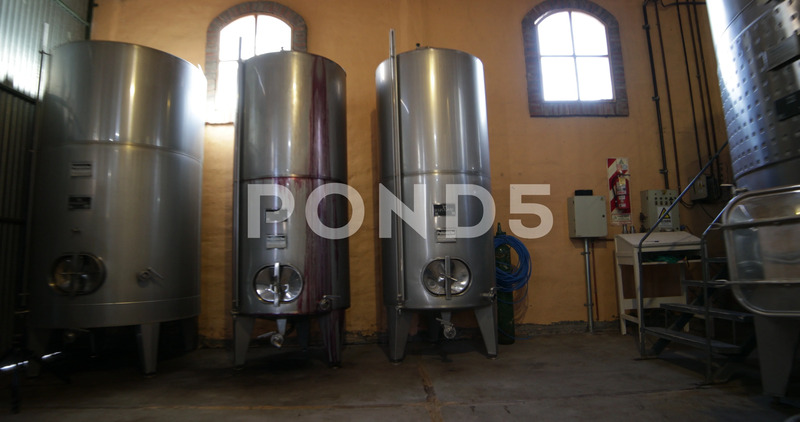 Description: Wine production industry, walking along room of metal tanks of 10000 and 25000 litres and brick tanks. Hand held stabilized camera. Mendoza, Argentina.